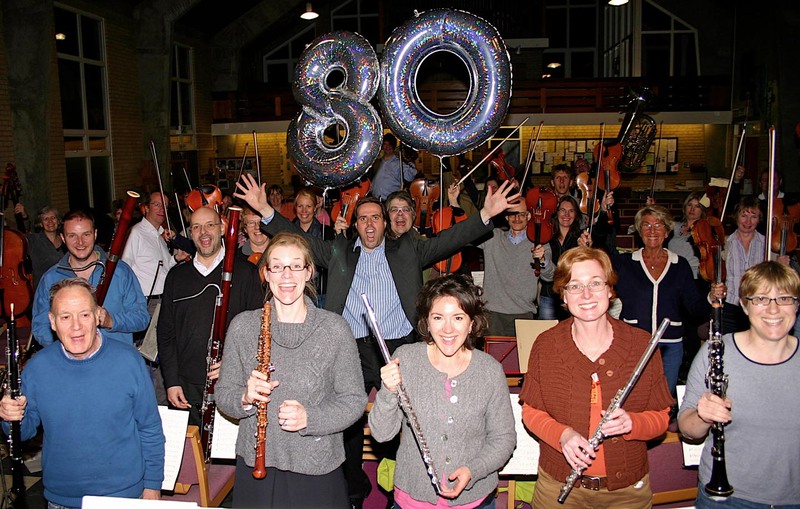 St Albans Symphony Orchestra is to celebrate its 80th anniversary by performing two of Britain’s best-loved classics: Rachmaninov’s Second Piano Concerto and the Pastoral Symphony by Beethoven (7.30pm, Saturday 28th April, St Saviour’s Church, Sandpit Lane, St Albans). The young Russian-born virtuoso Alissa Firsova will be the soloist in the Rachmaninov work, which was this month voted the number one spot in Classic FM’s ‘Hall of Fame’. The concerto, which combines intense romantic passion with instantly memorable tunes has been a firm favourite with audiences for more than a century. However, its use in the soundtrack for David Lean’s 1945 film Brief Encounter gained it an appreciative audience far beyond the ranks of regular concert-goers. Alissa Firsova, 25, now based with her family in St Albans, has received international critical acclaim not only as a soloist, but also as an award-winning composer. She has performed at London’s Wigmore Hall and at the BBC Proms, but also gave a highly-praised account of Beethoven’s ‘Emperor’ Concerto with St Albans Symphony Orchestra and its conductor, Bjorn Bantock, a year ago. Beethoven’s Pastoral Symphony has become so familiar over 200 years that it is easy to forget how revolutionary its vivid portrayal of countryside scenes must have sounded when first performed – including a dramatic summer storm. “More the expression of feeling than painting,” according to the composer, its enduring ‘top ten’ status with UK audiences was confirmed by Classic FM’s poll. Completing the birthday programme, SASO will perform the stirring and patriotic tone poem Finlandia by Sibelius, and Short Ride in a Fast Machine, an extended fanfare by contemporary American composer, John Adams, that pulsates with rhythmic energy. An updated history of the orchestra to be published in the concert programme recalls how it was founded after five young musicians returning from a concert in London decided that the city needed its own orchestra. Although its activities were curtailed during World War II, it has maintained a lively presence ever since while steadily growing in size and reputation. Tickets: £14 and £10 (Under-18s £1; students £5) from the SASO Ticket Secretary (01727 857422), via www.saso.org,uk or on the door.